Blooming with Digital Goodness – This May Recap is Pure Flower Power! 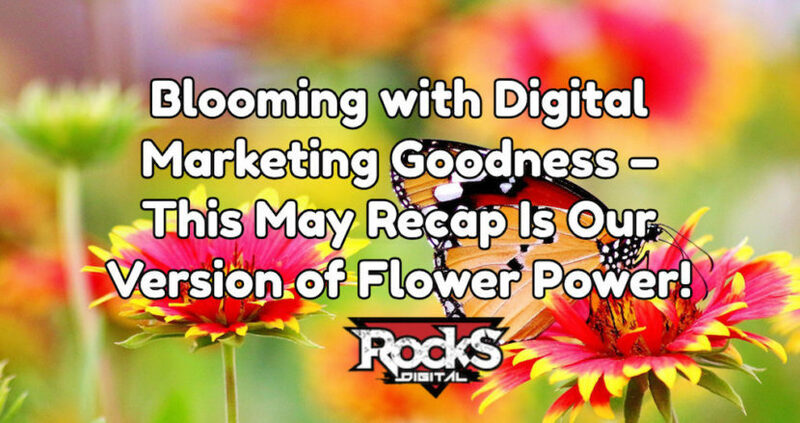 Blooming with Digital Marketing Goodness – This May Recap Is Our Version of Flower Power! During last month’s “April showers of knowledge” recap we mentioned something about May flowers, didn’t we? And here they are! 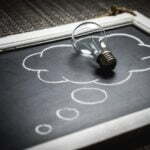 This colorful assortment of blog post summaries from the merry month of May has been arranged to meet your digital marketing needs. And of course, arrange the reading order as you prefer. Each summary has a link to take you to the full post. 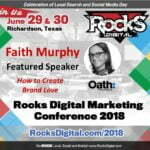 As you catch up with May’s blooming, info-packed posts, remember: the Rocks Digital Marketing Conference is right around the corner on June 29 & 30, 2018! Are you creating content? Then you need to read what Elijah Masek-Kelly shared with us. Leverage your expertise, get your content out into the world and promote it. Outreach strengthens reputation. Find out here how to improve your reach. What Are Your Video Assets Worth? 10 tips for managing and making the most of your video assets are broken down by Matthew Dunn, so you can understand what you have to work with. Don’t get overwhelmed – you don’t have to master it all at once. Use these tips to get organized and the management will be much easier. When you shoot video, do you have a soundtrack in mind? But then you find out you can’t USE that music due to copyright issues? Anesha Collins introduces us to the Facebook Sound Collection, and clues us in on how best to use this great new resource. Have you gotten into using video content marketing yet? Visual content is an extraordinary way for you to get your content noticed. Moss Clement makes the case for why video content is important – and shares tips to help your video investments pay off. First tip, make sure you’re optimized for mobile. Give your website traffic the roadway it needs (mobile-friendly) and it will make the ride much easier. Makki Jaqwani maps out other tips for making the cruise an easy ride for your website traffic, and helps us navigate the potential potholes and roadblocks with ease. Bigger isn’t always better, especially when you’re talking SERP (Search Engine Results Page). Eric Johnson clues us in on why engagement is more important than the length of the content, and how short articles can still be front-page worthy. Feeling Invisible in Facebook’s Feed? As most everyone is aware, our friends at Facebook decided that they wanted to shift our newsfeeds to see less business-related content and more “meaningful interactions.” (I changed my “see first” list to ALL small businesses, out of spite). Manuela Gadancheva gives us some super tactics to get back some of the Facebook traffic you may have lost, and to stay visible using Facebook Groups. Is Your TLD Top Banana? In the history of The Internet, .COM, .NET and .ORG have been the primary Top Level Domains (TLDs) for websites. But there’s a lot more choices now, and Bill Hartzer walks us through gTLDs (Generic Top Level Domains) with a look at .CARS, and how we can leverage these new domains to our advantage. Veleisa Burrell gives four tips that are the absolute bomb for rolling out a launch! Three keys to a fantastic launch and one cautionary note. Hint: Surprise Launch does NOT mean “unplanned.” Drop it like Queen Bey, no Kanye mic drop moments allowed! How do you make sure your potential clients have a great customer journey? Harley David Rubin shares tips on how to map out the best possible customer experience both online and offline. Have app, will travel! From pivoting to counter Facebook adjustments, moving to smooth out your customer journey, to the ever-increasing value of video and more, these posts are filled with helpful and actionable info. It was a joy to gather this blooming bouquet for you and your clients! Get to gardening – and as always, bookmark this convenient recap for easy reference – you will thank yourself. Plus, we wind up June with the Rocks Digital Marketing Conference 2018. And, you know what they say… What happens at Rocks Digital… well, come find out for yourself! Have a favorite pick in this bunch? Let’s hear your thoughts! And do click to let your circle have a look at this great info.